Originally called the “Indiana Hospital for the Insane,” Central State Hospital opened in 1848 to treat patients with many different diagnoses. The 160-acre grounds housed the men’s building (“Old Main”), the women’s building (“Seven Steeples” created in the groundbreaking Kirkbride style), a power plant, police force, fire department, hospital, bakery, laundry, kitchen and pathology building among others. 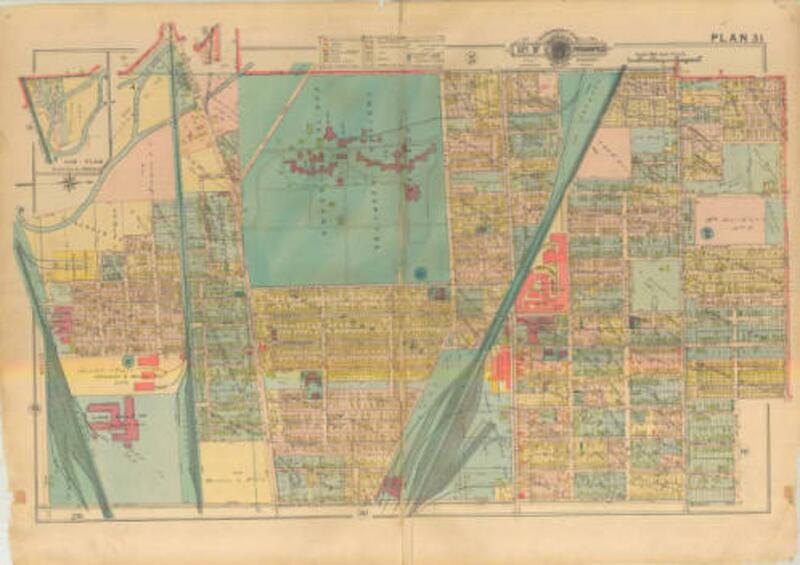 This 1916 map highlights the significant amount of structures erected to house and care for people with mental illness. The grounds were closed in 1994 in large part because of unhealthy conditions, patient abuse, lack of funding, and a societal push towards community-centered mental health facilities. Today, the pathology lab is preserved as the Indiana Medical History Museum. The rest of the grounds are being redeveloped in a variety of ways. The developers’ plans include building a school, apartments, businesses, restaurants, gardens, and an event center. The first buildings completed in development were the Christel Academy West charter school and Central State Mansion Apartments, which opened in the fall of 2014. The most recent development includes plans for commercial and family housing along a high-traffic street in the neighborhood.